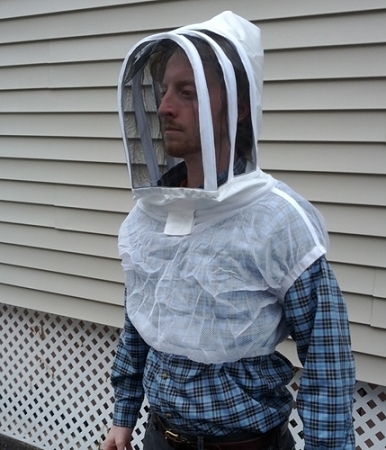 Fencing-style beekeeping veil with elastic at bottom of mesh vest to keep bees out. I have had this veil for two years now and finally the elastics has worn out. I am ordering 2 this time because I like it so much. Goes on and off quickly and gives you great face and eye protection and at an incredible price. 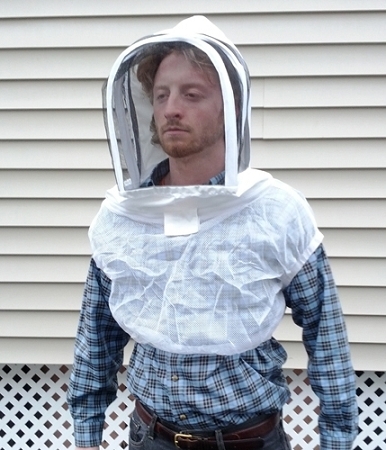 I wear this veil and gloves over a t shirt to stay cool on hot days and haven't been stung on the torso yet. Giving it 5 stars this time! I bought this veil thinking I would stay cooler on those hot days and it works great for that plus it goes and off in a snap! 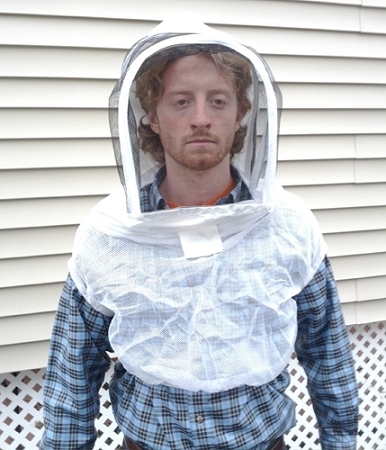 I still have a full jacket for those cooler days and when the bees are a little more agressive. I am really glad I bought it. It has a tendency to ride up my torso. I may end up needing some reverse suspenders.